Diplomacy has been vital to the United States from its birth. Even before our independence, the Thirteen Colonies sent a leading citizen – Benjamin Franklin ­– abroad, first to argue the colonists’ cause in London before the outbreak of hostilities, and then to secure assistance from France for the independence struggle. Franklin, thus, became the United States’ first overseas envoy – the pioneer of a long tradition of sending distinguished Americans abroad to represent their country. Seven of the first nine American Presidents -- George Washington and Andrew Jackson excepted -- brought prior diplomatic experience to their Presidencies, having served previously as Secretary of State, U.S. Minister to a foreign country (including Britain, France, the Netherlands, Prussia, Russia, Colombia), or both. Later Presidents -- Millard Fillmore, James Buchanan, William Howard Taft, Herbert Hoover, and George H.W. Bush -- held prior diplomatic posts or ran important, high-profile operations overseas in furtherance of U.S. foreign policy. American diplomacy enjoys a distinguished pedigree and legacy, and the country’s Founding Fathers recognized the central importance of the conduct of foreign policy and diplomacy to the new nation. Under the Articles of Confederation and, then, the Constitution, many Founding Fathers served as citizen diplomats in key roles abroad. Gouveneur Morris, a co-author of the Constitution, served as Minister to France. So did Robert Livingston, who served with Thomas Jefferson on the drafting committee for the Declaration of Independence and was the longtime Chancellor of New York. The tradition of sending prominent Americans abroad for diplomatic assignments continued up until the present day. In the wake of the Civil War, prominent Generals were posted abroad in major diplomatic assignments. Major General Daniel Sickles, Medal of Honor winner at Gettysburg, was appointed Minister to Spain (after having earlier completed a confidential diplomatic mission to Colombia toward the War’s end); Major General William Rosecrans was sent as Minister to Mexico by President Andrew Johnson; and former Confederate General James Longstreet was sent by President Rutherford Hayes as envoy to Turkey. The following profiles – selections from a rotating gallery of non-career Ambassadors, past and present -- illustrate the dynamic and varied range of knowledge, experience and acumen that these distinguished Americans have brought to their tours of public service. During his tenure as U.S. Ambassador to Japan, Howard Baker strove to rekindle a close U.S.-Japan relationship following economic and political difficulties in the wake of the September 11 attacks. He worked closely with Japanese policymakers to achieve Japanese support for the U.S.-led anti-terrorism operations in Iraq. Ambassador Baker had to respond to growing concerns about North Korea’s potential to develop nuclear weapons, an issue not only affecting Japan but also many countries in the Asia-Pacific region. In addition, he underscored U.S. commitment to the region by promoting the creation of the global tsunami warning system to mitigate damage from natural disaster. Throughout his tour of duty, Ambassador Baker forged effective relationships with many Japanese officials to strengthen the vital U.S.-Japan bilateral relationship. "When I nominated Jim Blanchard for this post, it was a sign to me, and I hope to the Canadians as well, of the immense importance I place on our relationships with Canada. For that relationship is unquestionably one of the most important in the world to us." After two highly successful terms as Governor of Michigan, during which he navigated through extremely difficult economic times for his state, James J. Blanchard was nominated and confirmed in 1993 as the U.S. Ambassador to Canada. During his posting in Ottawa, Ambassador Blanchard provided critical assistance for key legislation such as NAFTA and the Open Skies Agreement, which greatly increased the trade and security ties between the two nations. Following his ambassadorship, he returned to Washington to re-enter the legal world where his career began. 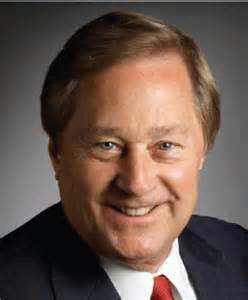 Ambassador Blanchard has remained active in both Michigan and U.S.-Canadian affairs. "Whether representing her Louisiana neighbors in the House or her country as Ambassador to the Vatican, she was as graceful as she was effective." 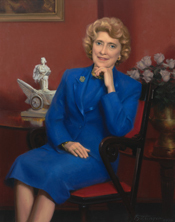 Following a distinguished career in the U.S. House of Representatives fighting for women’s and children’s rights, Corinne Boggs was appointed as Ambassador to the Holy See by President Bill Clinton in 1997. While at post, she worked with Vatican officials on a variety of matters both international and domestic in nature, such as the world response to the ongoing crisis in the former Yugoslavia as well as issues involving Catholic clergy and schools in the United States. After completing her ambassadorial tour of duty, Ambassador Boggs returned to Louisiana and remained involved in public projects benefiting her local community. Arthur Burns was appointed by President Ronald Reagan to serve as the U.S. Ambassador to the Federal Republic of Germany from 1981 to 1985. 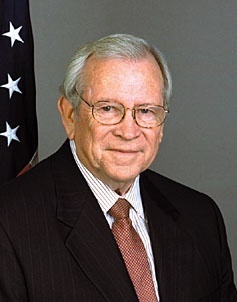 An eminent economist who served as Counsellor to President Richard Nixon and Chairman of the Federal Reserve for most of the 1970s, Ambassador Burns leveraged his considerable financial and business acumen and high-level U.S. government experience to achieve success as Chief of Mission. Angier Biddle Duke’s career in the Foreign Service spanned nearly three decades and multiple presidential administrations. After serving in two embassies, President Truman appointed Ambassador Duke to his own post in El Salvador in 1952, making him then the youngest American ever to achieve that rank at age 36. Praised for his work in Central America, Ambassador Duke was invited to serve as Chief of Protocol in President Kennedy’s administration, becoming the first to hold that title with the rank of Ambassador, a tradition that continues today. 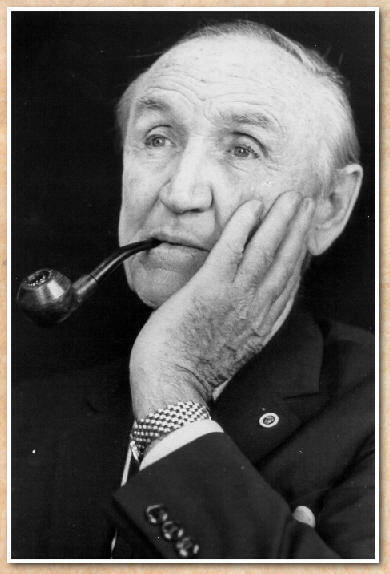 His tactful organizing of the visits of foreign dignitaries to President Kennedy’s funeral earned him high regard, and he served in two more ambassadorial posts before retiring in 1981. He then remained engaged on issues of both foreign and domestic import, and played an active role at his hometown Long Island University. 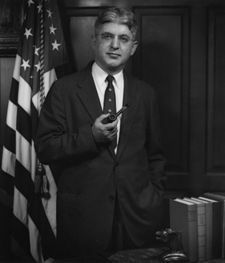 Michael J. Mansfield was the longest serving U.S. Ambassador to Japan (1977-1989), having been appointed by President Jimmy Carter and reappointed by President Ronald Reagan. He famously said that the “U.S.-Japan relationship is the most important bilateral relationship in the world, bar none,” and worked to strengthen American relations with Japan. Ambassador Mansfield brought to his diplomatic assignment extensive experience—as well as a vast network of leading decision makers and policy practitioners—gained from 34 years in the Congress. This singular background coupled with Japan’s traditional respect for senior statesmen was the perfect combination for Ambassador Mansfield’s highly successful Far East posting. Michael Mansfield’s diplomatic assignment was the culmination of a long and distinguished career that covered not only international affairs but also military service as well as elected office. He lied about his age to join the Navy and fight in World War I. Subsequently, he served in the Army and the U.S. Marine Corps. Michael Mansfield was first elected to Congress as a Representative from the State of Montana and took office on January 3, 1943. He served a total of 34 years in Congress (24 of those years in the Senate). The Senate Democratic Whip from 1957-1961, Michael Mansfield was elected Democratic leader on January 3, 1961, and served until January 3, 1977, making him the longest-serving Majority leader in Senate history. Andrew Jackson was nominated in 1823 to be Envoy Extraordinary and Minister Plenipotentiary to Mexico, but declined.